We have a team of self motivated and proficient professionals who help us to manufacture and supply the best quality range of Cotton Ear Swabs. - Safe swab is absorbent gauze, suitably folded for use in surgical procedures with x-ray detectable filament. Cleanroom Foam Swabs are ideal for use in application such as microelectronics, medical component manufacturing, as well as in clean room environments where low particulate gloves are a vital necessity. 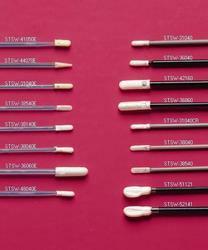 These swabs have excellent thickness providing superior tactile sensitivity. These are available in diverse lengths as well as sizes. 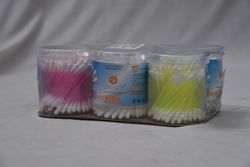 Choose from wrapped swabs, foam swabs or general purpose cotton swabs.The 2.5mm and 1.25mm swabs provide easy entry into bulk heads, mating sleeves and connector end faces to remove contaminants and debris.